If’ you’ve been reading along in our blog series with Jim Anderson, you may have caught our last installment. If not, you can always catch it here! In the last blog, we revealed 2014 Road to the Horse Champion Jim Anderson’s foundation principles of liberty training. 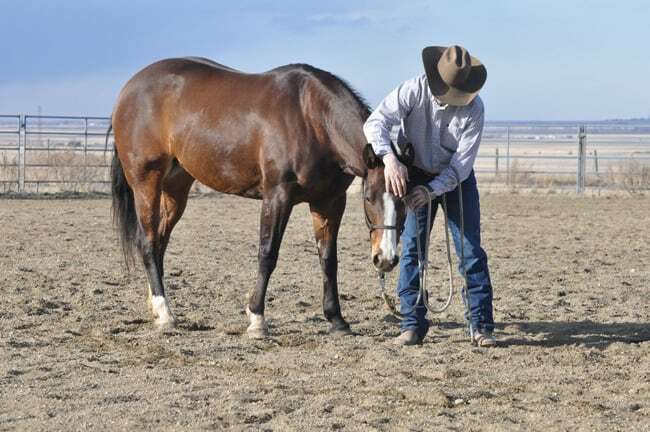 In this blog, we take those notions a step further and build on the first exercise of moving the horse’s hindquarters, to more advanced techniques of body control with the horse in a halter and lead. 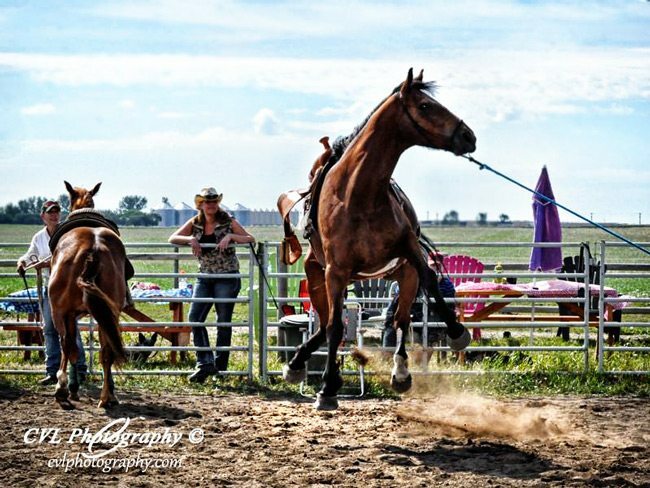 Often, people don’t mean to teach their horses this, but it happens unintentionally. • First Exercise: Yielding the Hind Quarters. Again, you need to read the first blog in our installment for this exercise. 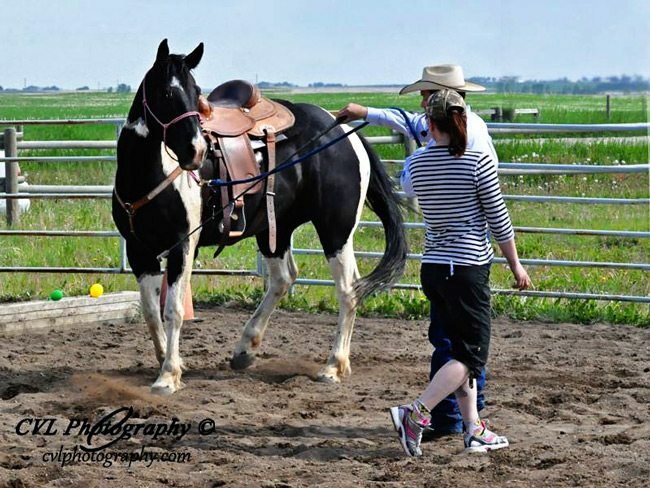 • Second Exercise: Get the Horse’s Shoulders Yielding Away From the Handler. The horse may yield away from us, but they must remain focused on us as they yield away. So when you yield the shoulder, the horse must always have one eye looking at us. • 3rd Exercise: Softening of the head and neck. Softening it laterally; right and left. And softening it vertically; being able to set the head and neck down. When you can put the head wherever you want, it means the horse really has confidence in us as the handler. It’s an exercise that helps to bring the focus back to us. • 4th Exercise: The Ribcage. When the horse circles on the lead line it arcs its ribcage around us. The horse has to give its ribcage and arc its entire body around yet, their whole focus is on us as they’re still kind of yielding away. They should hold a perfect circle around us and they should not push into us at any point. The horse must keep the same radius around, with the ribcage arced to the outside. When I point my giddy-up stick at the ribcage, the horse should bend it outward and actually give me one eye or two. When the stick goes to the ground, that’s when he should yield his hindquarters away, but come to me. This is why it’s so important for the development of subtle cues – learned through the repetition of exercises one through four. When we are successful in all of them, I can merely bend my giddy-up stick at my horse and he does what I am requesting. The important point here is that my cues are incredibly subtle. 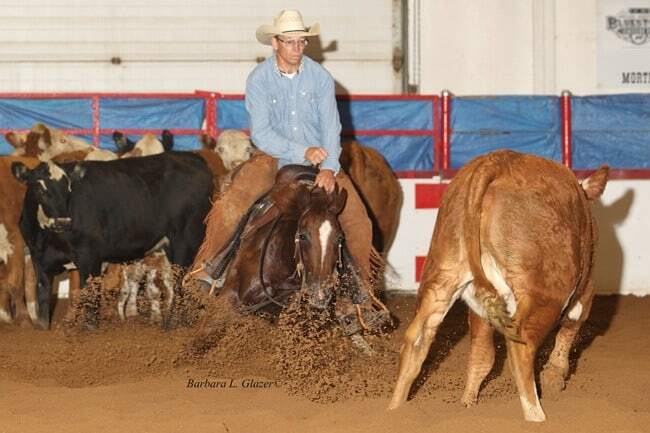 OBR High Cuttin Cat & Glen Beveridge. Photo by Barb Glazer. The annual Moose Jaw Cutting Horse Show was held August 3 to 6, 2017. 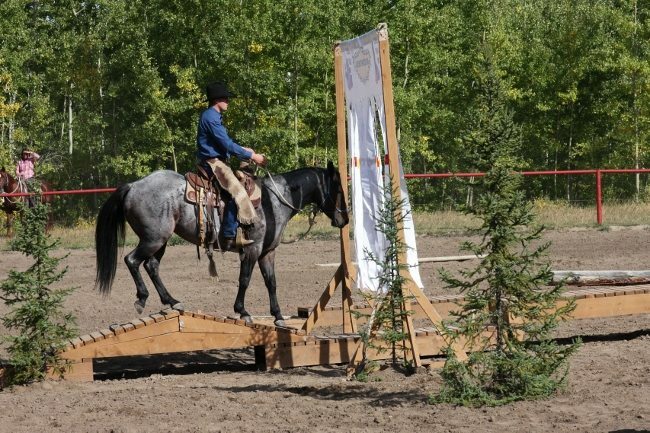 Organized by the Saskatchewan Cutting Horse Association (SCHA), the first days featured the Limited Age Event presented by Barry & Elaine Good. These are the classes for cutting horses just beginning their careers and attract particular attention as it’s first time the three-year-olds will have ever been shown. 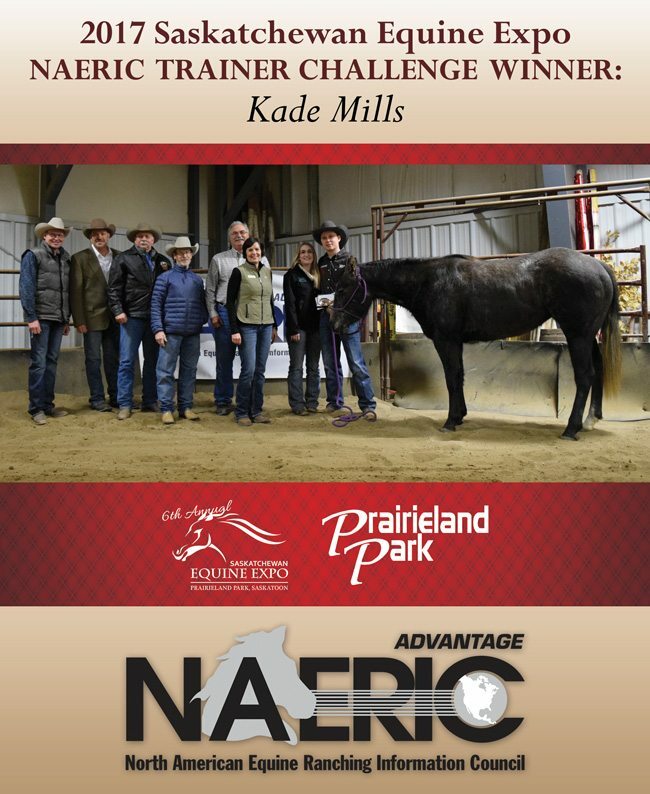 This competition has become an important part of the program for many trainers and breeders as they develop these young horses for the major futurity shows later this fall. It also provides the spectators an inside view at what’s coming from breeding and training programs. 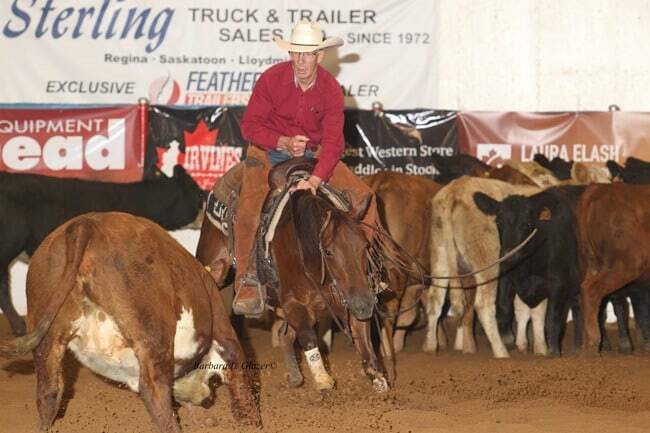 Thanks to The Moose Jaw Exhibition Company for their facilities and the great footing in the Golden Mile Arena that really allows the horses to show at their best. Wild Lil Moonshine & Gale Aykroyd. Photo by Barb Glazer. Hot Metal Smarts & Glen Beveridge. Photo by Barb Glazer. 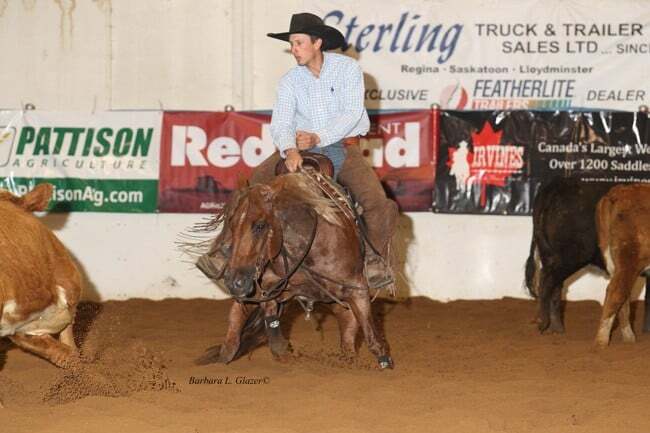 The Four-Year-Old Open Derby Aggregate three-way tie was broken by virtue of the high score of 73 by Hot Metal Smarts, bred by Sherman Minnie and now owned by Hollingworth Farms, Valleyview, Alberta. Trained and shown by Glen Beveridge this red roan mare by Metallic Cat and out of the mare Preppy Jay Bar saw limited showing as a three-year-old, is continuing her show career and eventually will become a part of the broodmare band. Mouse Ichi & Rocky Davis. Photo by Barb Glazer. Monster Cat & Glen Beveridge. Photo by Barb Glazer. Monster Cat & Rocky Davis. Photo by Barb Glazer. Monster Cat came back with Rocky Davis riding to tie for the Non-Pro Classic Aggregate with his half brother Cats Lil Peptolena, who is also owned by Heather and Rocky Davis and shown by Rocky. Cats Lil Peptolena is a gelding also sired by High Brow Cat but out of the mare Peptolena Lucinda. Reys Your Freckles & Les Jack. Photo by Barb Glazer. The 7 Up Non Pro Aggregate went to Reys Your Freckles owned by Les and Coreen Jack, Rocanville, Saskatchewan and shown by Les. 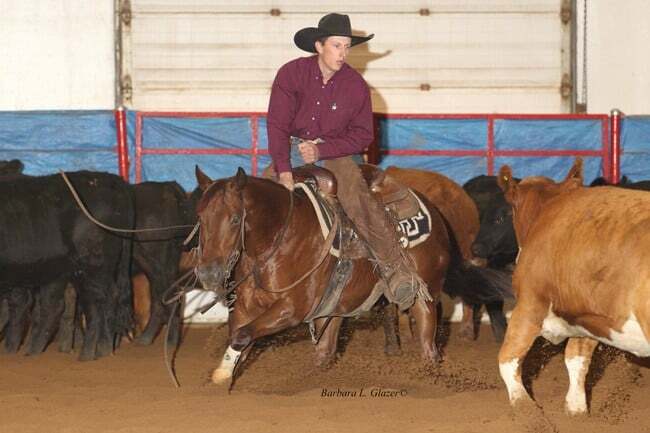 This seven-year-old sorrel mare sired by Dual Rey was the first foal out of their mare, Bet On Freckles. 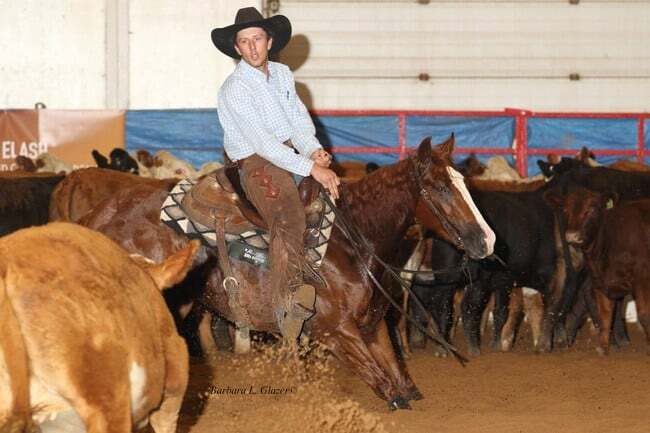 Les started this mare then sent her to Tatum Rice in September of her three-year-old year in preparation for the Forth Worth Futurity where she placed fourth in the Limited Non Pro. “She’s been privilege to own,” says Les. He is looking forward to the two yearlings he has raised out of her, sired by Once In A Blue Boon. Oldstoberfest returns for a second round of rodeo, beer and lederhosen. 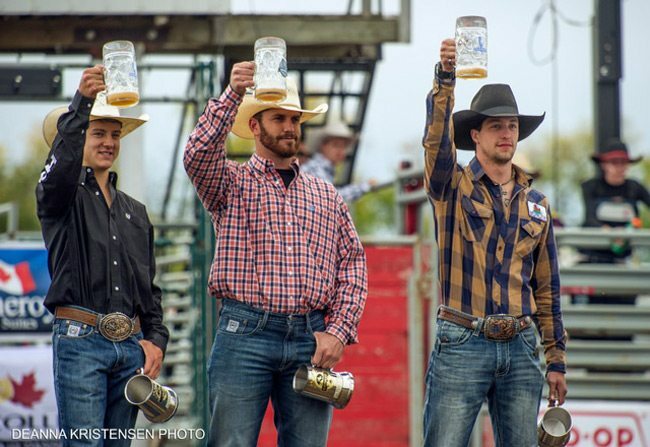 The unique event that combines rodeo with an Ocktoberfest swing to it is returning to Alberta this September 15-16 at the Olds Regional Exhibition grounds. In 2015, the event brought over 8,000 visitors into the town with a professional rodeo, an authentic Biergarten and world class concerts. Under new ownership of C5 Rodeo Company, Oldstoberfest will now return as an annual event once again. Oldstoberfest will continue the tradition of combining the World’s First Bavarian Rodeo and Cow Palace Biergarten, with exceptional outdoor concert entertainment. A volunteer meeting will be held at the Olds Cow Palace on April 13th, 2017 at 6:00 pm and is open to anyone who would like to be involved. 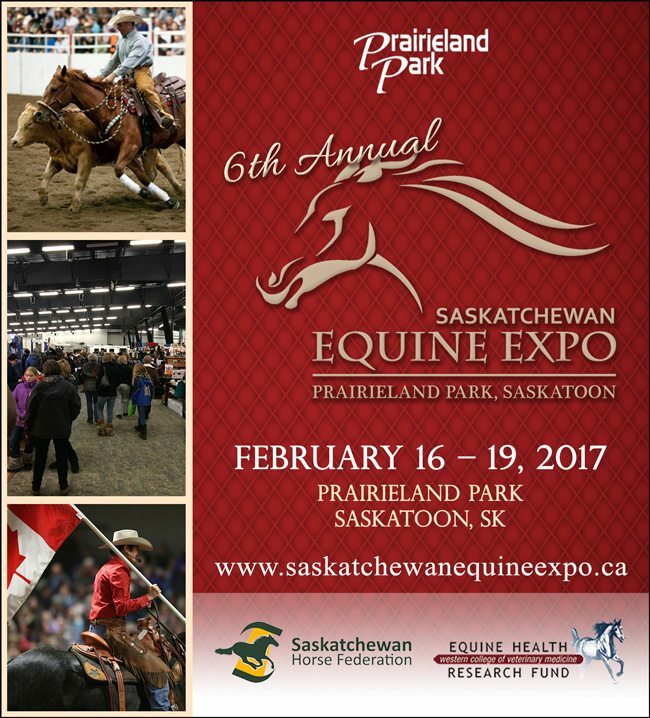 The sixth annual edition of the Saskatchewan Equine Expo is set to take place this upcoming February 16-19, 2017 at Prairieland Park in Saskatoon, SK. The park, in conjunction with volunteers from Saskatchewan Horse Federation, the Western College of Veterinary Medicine and various equine breed groups work together to facilitate this annual event. The objective is to present equine related lectures, presentations, demonstrations, entertainment and opportunities focusing on the equine industry. As a participant or spectator, you can experience the newest equine products, techniques and technology. 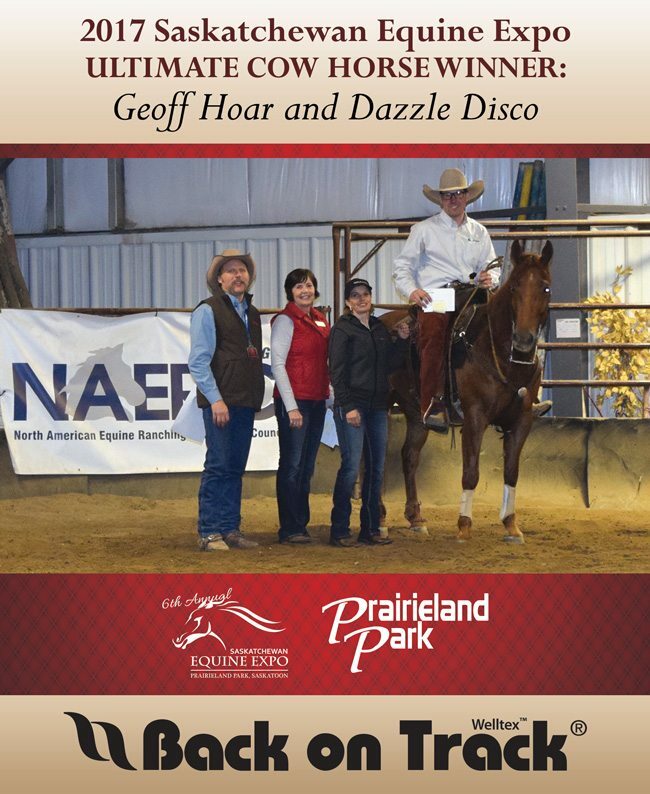 Organizers of the event realized there was a need within the Saskatchewan horse industry for a quality event that showcased the newest technological advances, the latest developments in equine health, and a demonstration of horsemanship excellence that was equally entertaining and educational. The Saskatchewan Equine Expo was the answer. On February 16-19, the event will once again celebrate the diversity of the equine industry with live demonstrations, breeds on display, and outstanding horsemen and women. Make plans to be there! Natural Horsemanship clinician Glenn Stewart hosts this challenging event, culminating in the obstacle and task competition. 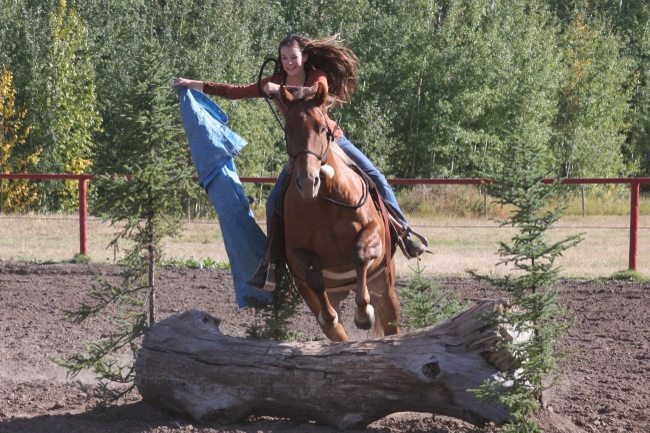 You’re in for a fun, stimulating weekend of schooling and competing at the Horse Ranch’s 2015 Extreme Horsemanship Challenge Clinic and Competition on Aug. 28-30 at Fort St. John, British Columbia. 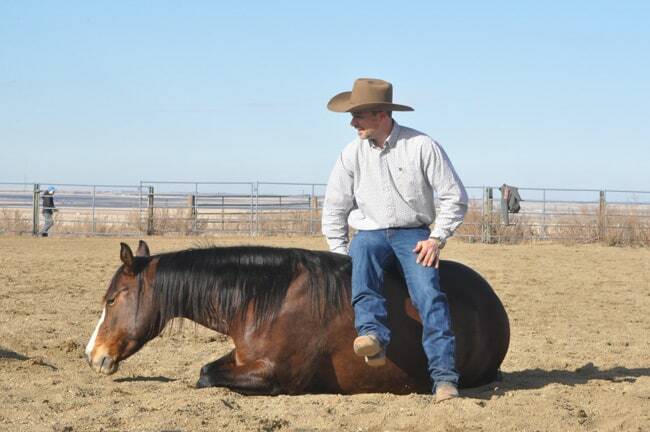 Now in its 13th year, this event is led by Natural Horsemanship clinician Glenn Stewart. During this challenging and enjoyable weekend, participants have the opportunity to both improve their horsemanship skills and show off their abilities in an obstacle course and a number of tasks. Sharpen your horsemanship skills in sessions with Stewart, preparing you for the competition component of the weekend. This clinic and competition is a chance to “learn about the horsemanship skills that the judges will be looking for and how to prepare and develop a great horse on diverse obstacles, as well as build your fundamentals and skills” relating to elements of a variety of disciplines. 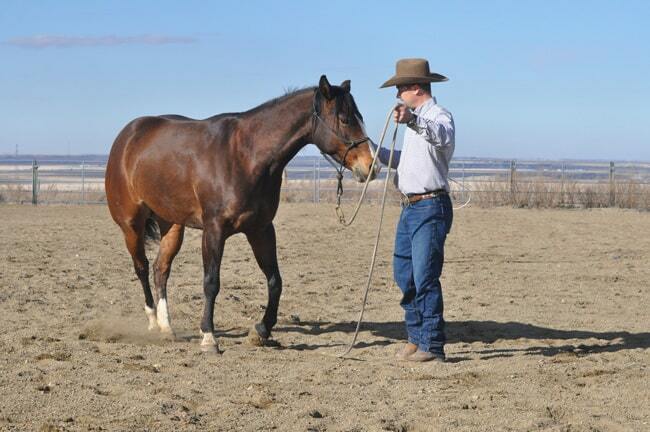 Stewart’s clinics feature his particular method of horsemanship, in which he introduces horses to concepts in a way they can more easily understand. For more information, visit the Horse Ranch’s website. Also be sure to check out their Facebook and Twitter pages and Stewart’s YouTube channel for more on Natural Horsemanship and the Horse Ranch’s upcoming events. They call him the Duke. 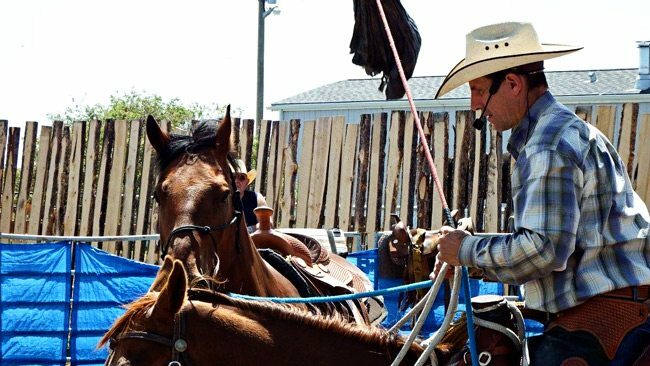 Rod Olsen, Brent Trout and Kateri Cowley helped ten horses get a good start at this June 5-6 clinic. All were ridden by their owners. “Can I quote you on that?” I laughed as I looked up into the elated face of clinic participant Jen Downey. It was June 6, 2015. 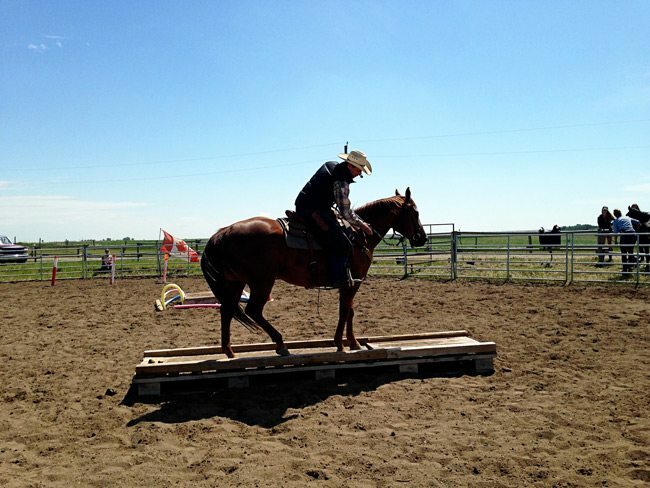 The event: a colt starting clinic with Brent Trout, Rod Olsen and Kateri Cowley, held at Cheadle, Alberta. 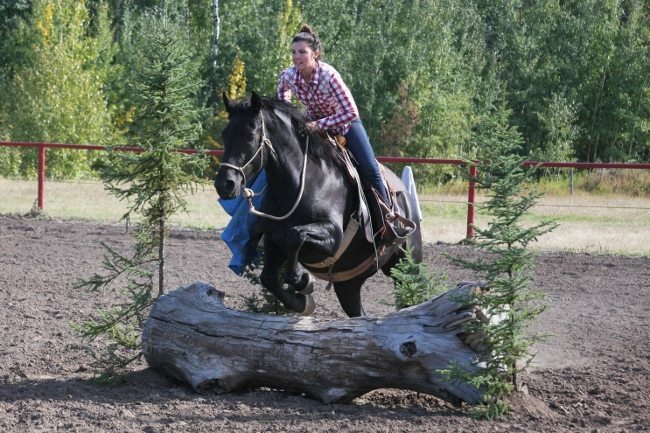 The two-day clinic, organized by Darla Connolly, welcomed ten horses and their soon-to-be riders, who were eagerly awaiting the opportunity to get a proper start on their colts. 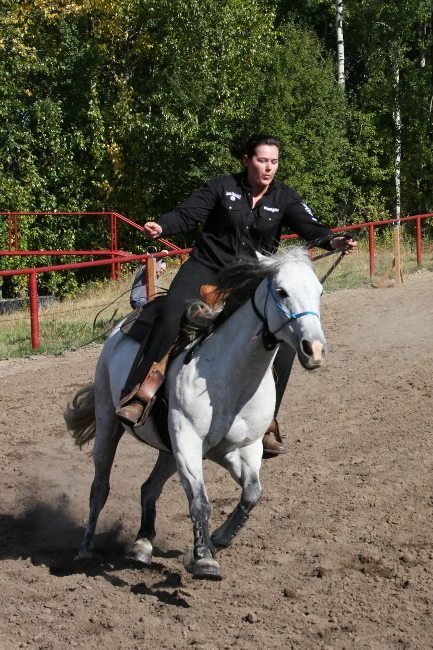 They were not disappointed – all ten horses were started on the first day and all the riders were able to get on them. Rod working the flag from one colt, while helping another. Partnership was key to the weekend. Darla Connolly was the organizing force of the clinic, lining up the arena, round pen, obstacles, ground crew, food and horse accommodations. She was prompted to organize this clinic in order to expand her current knowledge of colt starting. 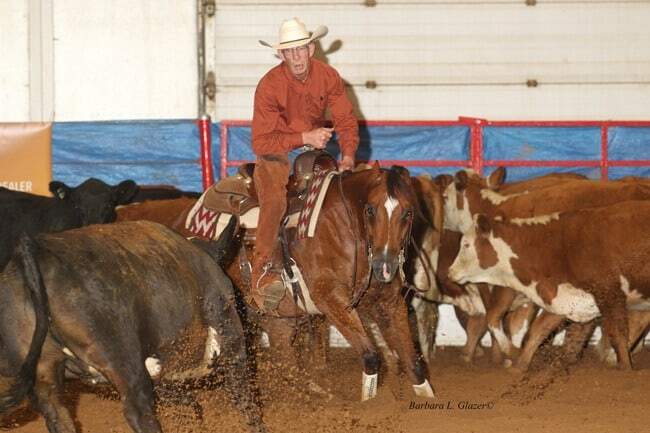 Brent Trout is well known for his partnership with his liberty horse, Chexmate. 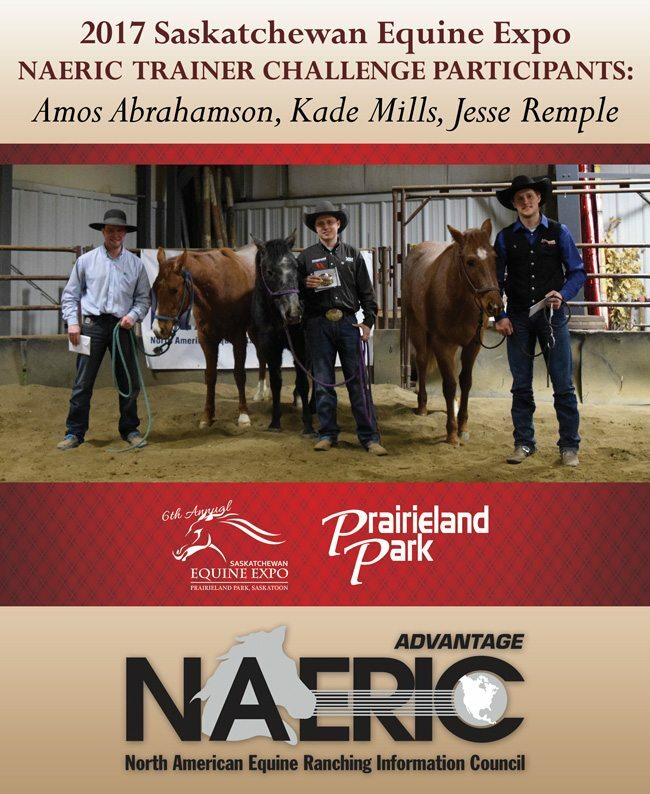 Together they have demonstrated their skills across Alberta by leading clinics and colt starting demonstrations. 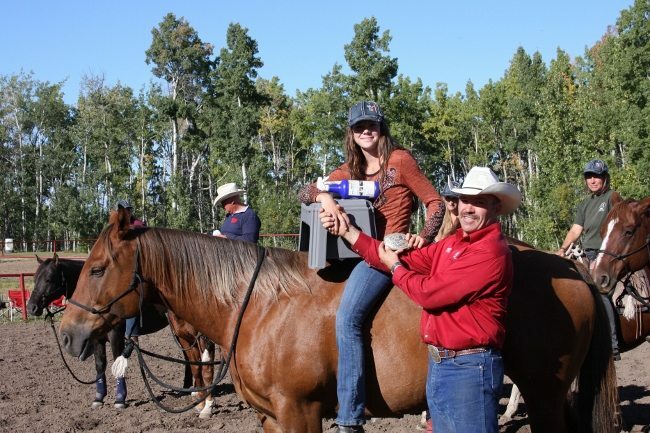 Darla met Brent when she was a participant of the Canadian Colt Starting Competition. 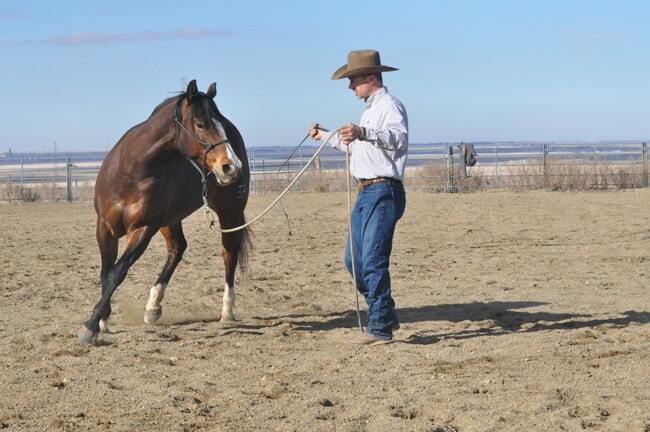 Brent helping a colt learn to lunge. Brent has been following his vision of working with other trainers who can offer specialized training. After being asked to be part of Darla’s clinic, he, in turn, contacted Rod Olsen to join forces. 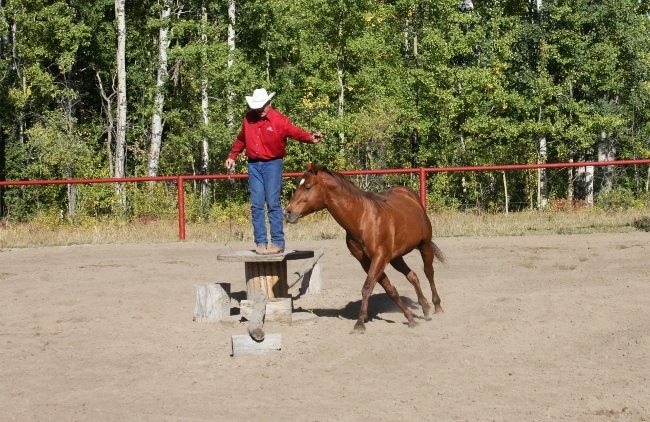 Years ago, while living in southern Alberta, Brent was invited to do a colt starting demonstration at the Pincher Creek Cowboy Poetry Gathering. This is where he met Rod, who was also giving a demonstration, and it became a yearly event. When Brent became involved in the Canadian Colt Starting Competition, he encouraged Rod to participate. Rod has now won the event two times. Joining forces helped in another way, too. On May 11, Brent had a kidney transplant. This was an opportunity that could change his life, but it would debilitate him in the short term. 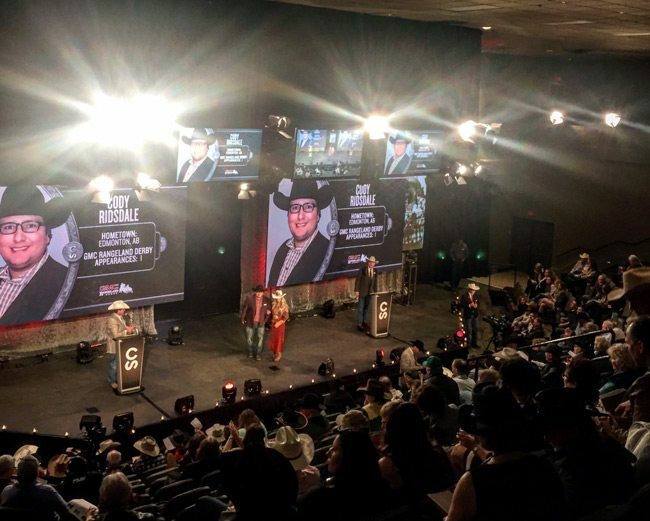 Rod was able to carry the workload at this event, and Kateri Cowley, recent participant of the Mane Event Trainer’s Challenge and winner of last year’s Calgary Stampede Cowboy Up Challenge, was also invited to come on board. Rod introducing obstacles to a colt participant. Darla and the participants found that while the three trainers have different approaches, they complimented each other; seeing different methods in action added to the learning experience. Darla is looking forward to organizing other colt starting clinics in the future. 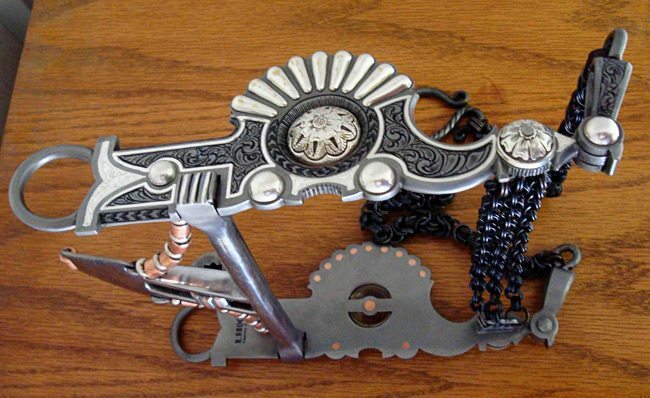 Much maligned, misunderstood and sometimes even feared, the spade bit has been in the hands of horsemen in one form or another for centuries. The current versions we are familiar with date back to the vaqueros of Old California. So what makes a spade bit and how was it really intended to work in a horse’s mouth? Spade bits are made with many different cheek configurations, with varying height to the mouthpiece or spoon. The size of the mouth is a combination of the spoon height and the staple height (the staple being the inverted U-shaped piece rising about the solid bar joining the cheeks.) The spoon can be found in a simple teaspoon or a shape that resembles a violin, sometimes referred to as an alligator mouthpiece. The common parts of a spade bit are the solid cannon bar, the staple with a copper “cricket” roller in the middle, the spoon, and braces arching from the cheek just above the bar to each side of the spoon and wrapped in copper or with copper beads on them. 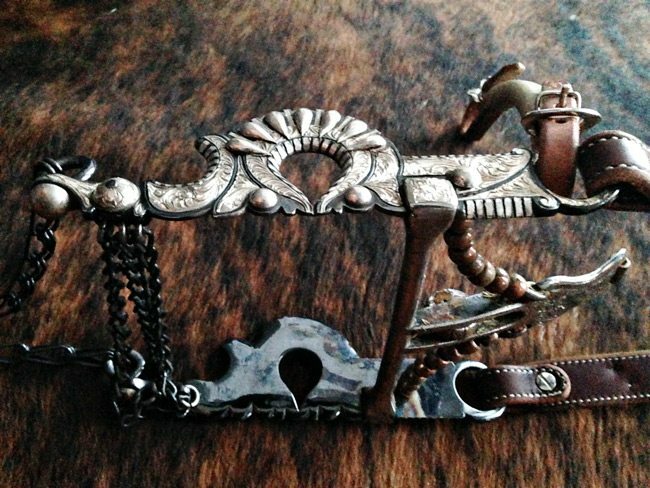 Either slobber chains or a slobber bar join the two cheeks at the bottom and rein chains are attached to stirrups or loops at the bottom of the cheek pieces. Named very traditionally, cheek pieces can be of the Santa Paula, Santa Susanna, Las Cruces or even cavalry styled s-shanks variety. The most traditional and prevalent design is some variation of the Santa Barbra cheek. Bit makers speak of this cheek being the most balanced as the shape itself lends to the bit returning to a neutral position quickly and easily. Many people question the form and function of the mouth of the spade bit. Before you jump to inhumane conclusions, perhaps consider a few facts. The intention always was and is for the horseman to first train the horse through signal via a hackamore and then transition to an under-bridle ‘bosalita’ in conjunction with a spade bit. It was all about teaching signal only, not the force of pull. To protect the mouth, the horse is able to pick up the bit with the tongue, therefore the solid bar (one that does not collapse like a nutcracker) and braces serve to give it more surface area. The horse could use the braces to hold the bit easily and receive signal clearly. By pure physics, the more surface are that comes in contact with the horses tongue, the more any weight or pressure would be distributed if deployed. Then there is the physiology of the mouth. A human can fit their entire arm in a horse’s mouth, so at the point where the spoon could touch the palate, the horse’s mouth is quite tall in structure. With a properly adjusted curb strap to curb bit rotation, it is a system designed to protect not harm. Lastly, an essential part to remember is that the educated bridle horse, at te stage that he is introduced to the spade, has developed a headset that is conductive to carrying the bit in a manner such that through balance, the spade points towards the inside of the mouth, not the roof. As per the old saying, a bit is only as gentle as the hands using it and the classic spade bit was designed for skilled hands – hands with patience and time to develop a signal.